This makes perfect sense to me. Don't touch it. If this is the way it works, then half the contents of my refrigerator are protecting my family from dire illness. Yes! Leave it alone!!! 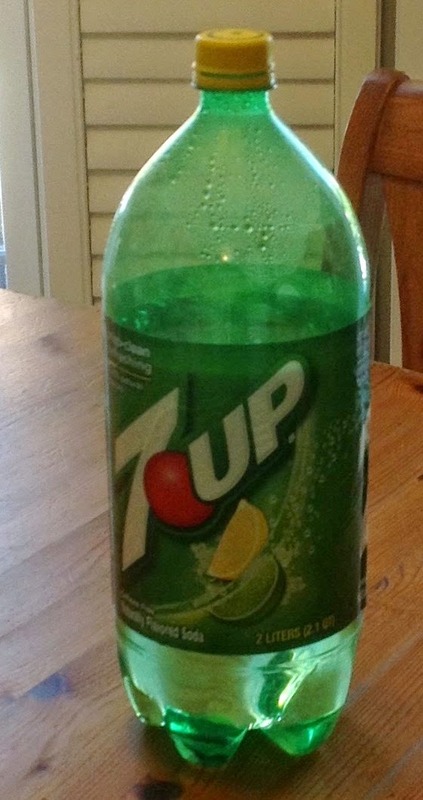 Do not touch the 7-Up! Although isn't it driving you a little crazy just sitting there begging to be thrown away? That is totally something I would do. In fact, I have a random assortment of bottles on my counter right now, that I filled with water before the blizzard over three weeks ago. Even with all the snow we keep getting, I have yet to lose power, knock on wood, but I can't bring myself to pour the water out. As soon as I do, the power will go out!